This post is sponsored by Red Gold Tomatoes. Thank you for supporting the brands that I love! All opinions are my own. Tailgating season is here and you know I am a big fan. Of football, of sports, and of any food that can be easily eaten while enjoy the big game. I have thrown so many football parties over the years and what I remember best about all of those parties is the food. My layer taco dip has always been a big hit. So has my buffalo sauce – you can’t beat homemade! 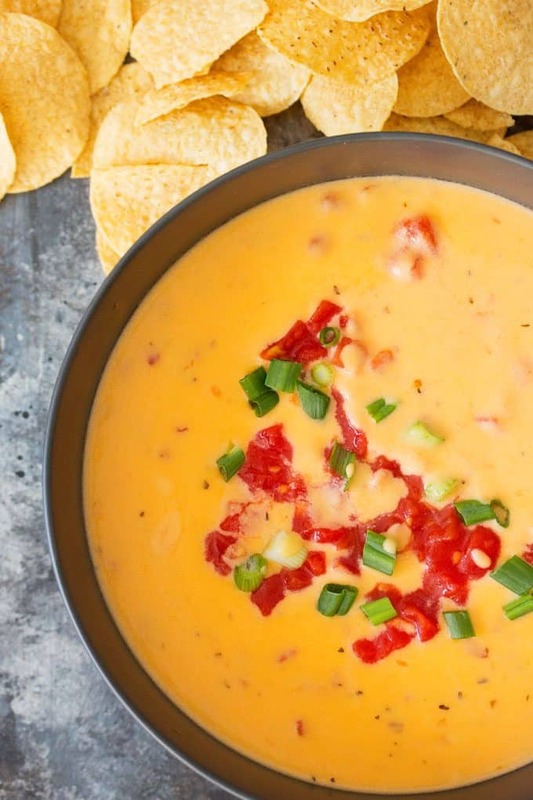 Queso dip is delicious and always a crowd pleaser. 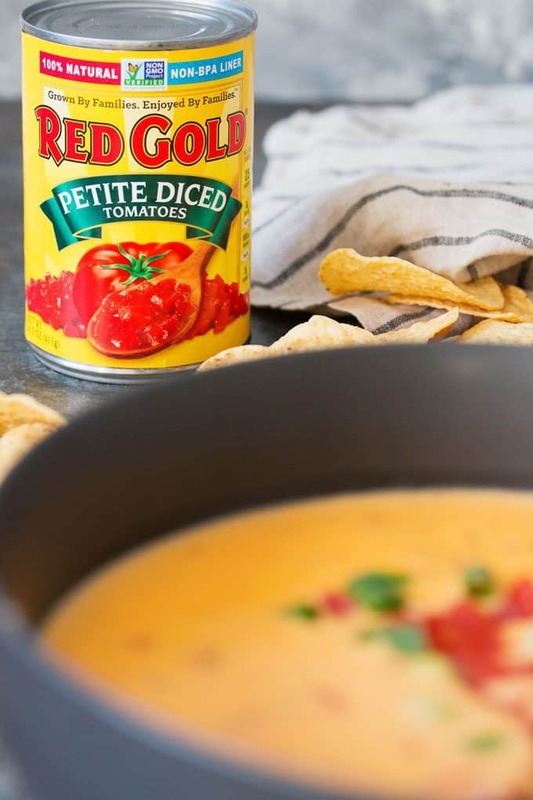 My new recipe is a tomato queso dip using Red Gold Tomatoes, which I have been a big fan of for years. I had the pleasure last year of sharing some recipes from Red Gold on a local Chicago TV show and that definitely has inspired the great meals I make. A family-made product, family-owned for 75 years, this company understands the value of doing things the right way. Plus, they’re sustainably grown on Midwest family farms – this Chicago girl loves that. 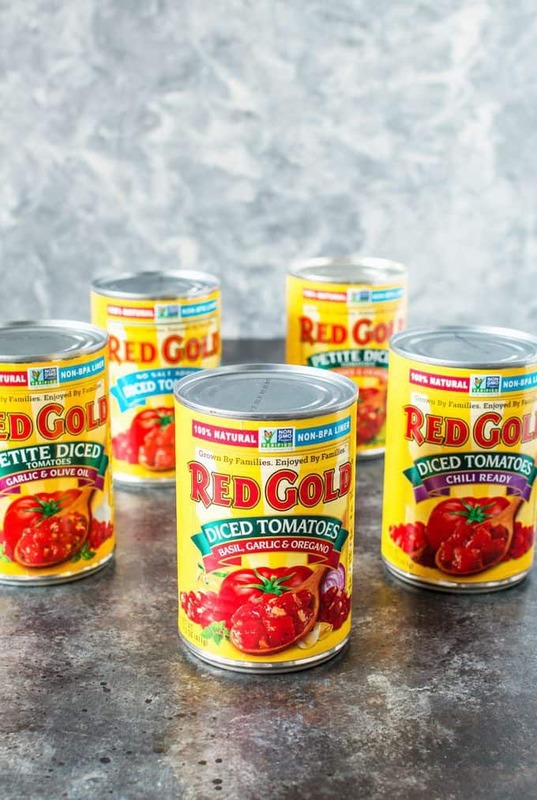 The beauty of Red Gold Tomatoes and this recipe is the variety of diced tomatoes that they offer. 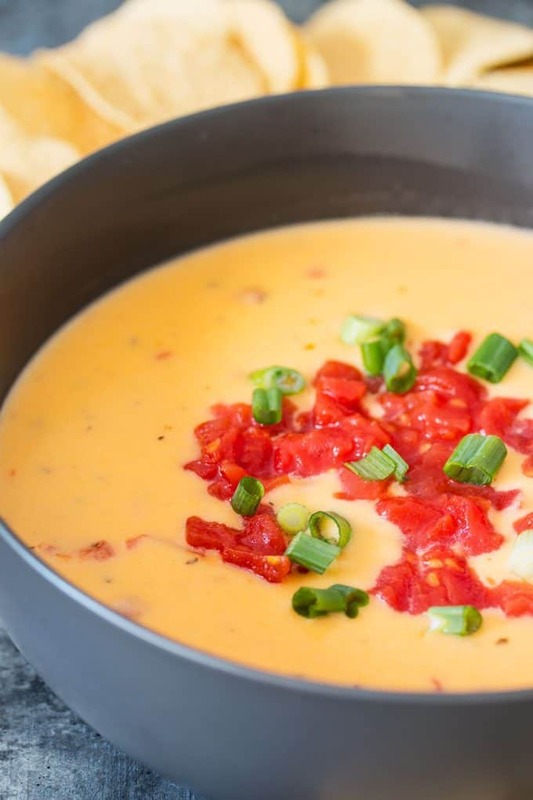 I have made this tomato queso dip recipe with multiple varieties of their tomatoes. Looking for a little Italian kick? Try the Diced Tomatoes with basil, garlic and oregano. A little Mexican flair? Try the Petite Diced Tomatoes with green chiles or the Petite Diced Tomatoes with lime juice and cilantro. When making this dip it is important to keep stirring. You want all of the ingredients to fully incorporate and if you stop stirring the cheese and milk may separate. I used 2% milk but if you are looking for a thicker dip, try whole milk. Also, make sure that you drain the tomatoes very well. 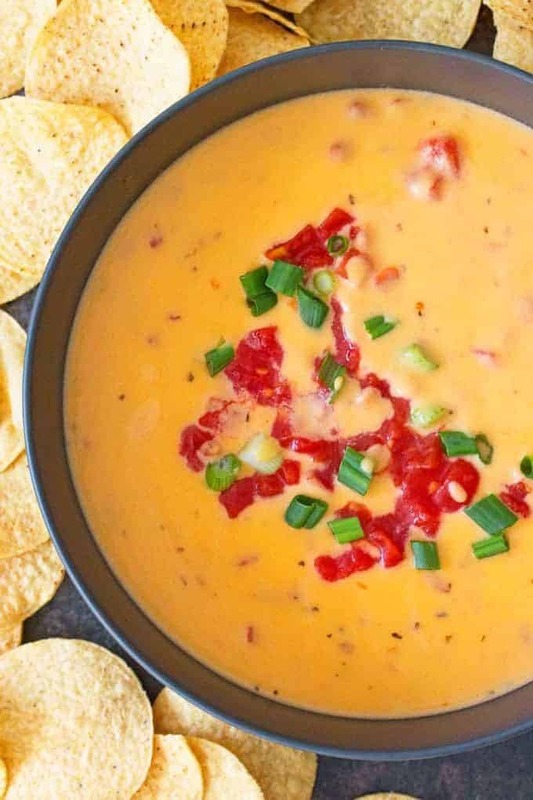 The tomatoes will retain their flavor even after the liquid is drained and you don’t want the queso to become runny. 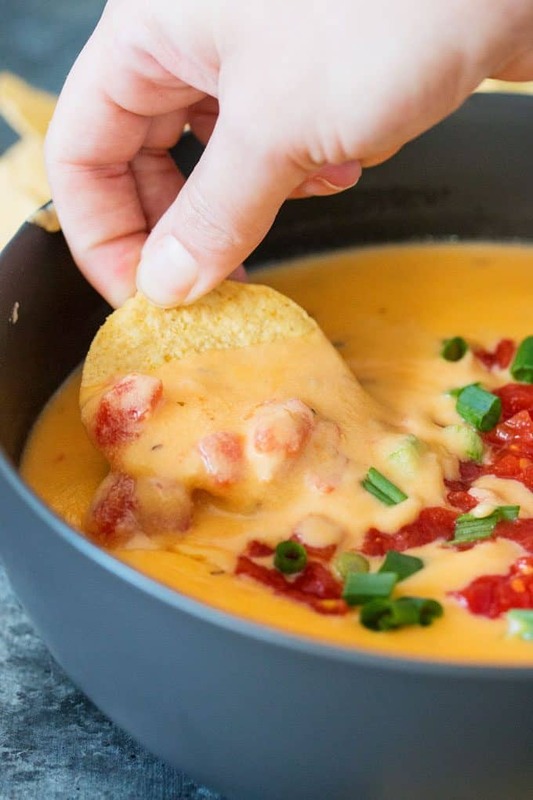 A good queso is a thick queso. 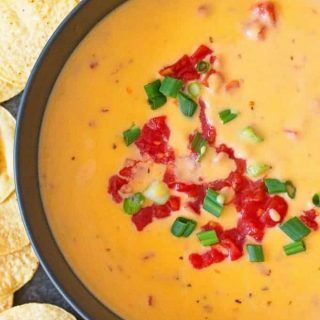 When serving, either share this dip with your guests immediately or keep it warm in a small slow cooker. Your friends and family will come begging for this easy recipe! In a medium pot, melt the butter. When melted add the flour. Stir well. Slowly add the milk, stirring constantly. Heat until just before boiling, then slowly add the cheese, stirring constantly. Cook for 5 minutes. Add the diced tomatoes and heat until the tomatoes are hot. Garnish with additional diced tomatoes and serve with tortilla chips. Why did it curdle after I added the tomatoes? I have never had this issue – the only thing I can think is that there was a temperature issue with the tomatoes or something wrong with one of your ingredients. Did you make any changes to the recipe? Good recipe, though a little dull in flavor. I highly recommend adding a few diced jalepeno or at least some juice. I prefer mine with a little kick. But to each their own ??? ?